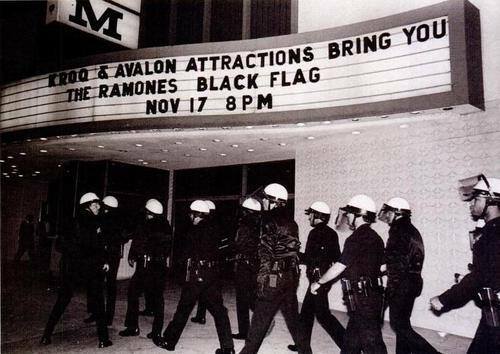 Black Flag at The Palladium in faraway times. I remember that night. They wouldn’t let us in. Even with our tickets. I guess they thought there was gonna be a riot. Which there was, later. We weren’t in it, though. We were over at the Firefly on Vine, where my wife punched a dude out. Sent him flying. He was asking for it. Those were the days.